At the time these snaps were taken Anna was editorial assistant to Australian expat. Jennifer Hocking at Harpers Bazaar in the U.K. 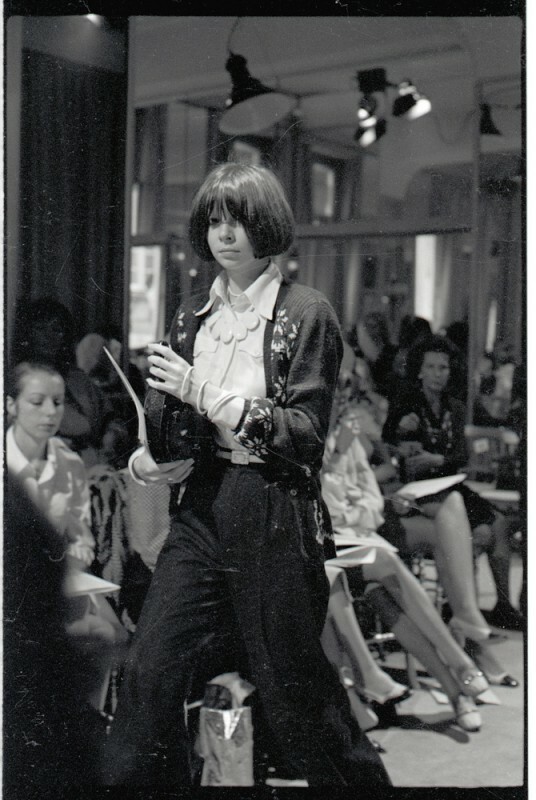 Her youth, trademark bob ,pale complexion and refined style made Anna stand out from the other fashion journalists, esteemed patrons and clientele.I was photographing the Haute Couture shows in Europe for a London newspaper . Anna one day asked me if I would like to shoot a fashion series in the English countryside for Harpers. Mainly knits by Bill Gibb and Kaffe Fassett. 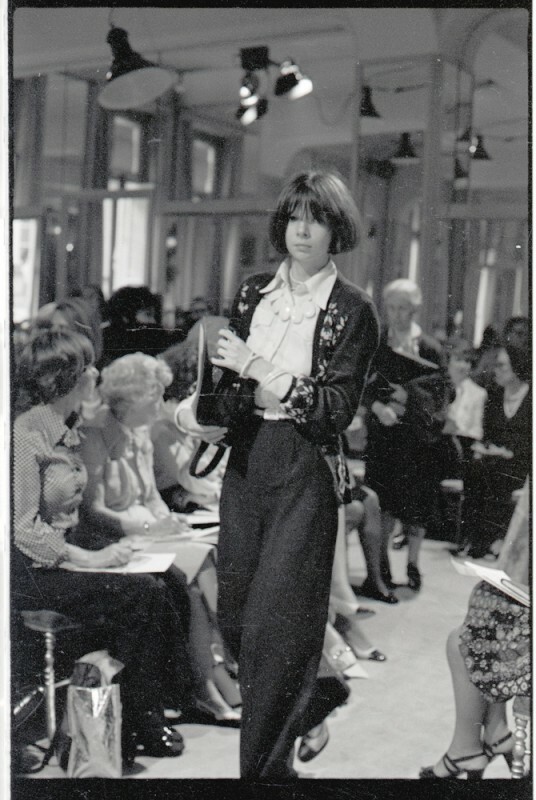 One of the models was her old school chum Annabel Hodin. My friend Justin de Villeneuve (Twiggys manager) drove down to the location in his white Rolls Royce for the weekend. This was posted by Monty on Sunday, August 26th, 2012 at 9:51 pm. Bookmark the permalink.